TMRGB is a series of blog posts wherein I, a disgruntled CDL driver who wakes up way too early for this crap, recommend effeminate fiction to the masses. 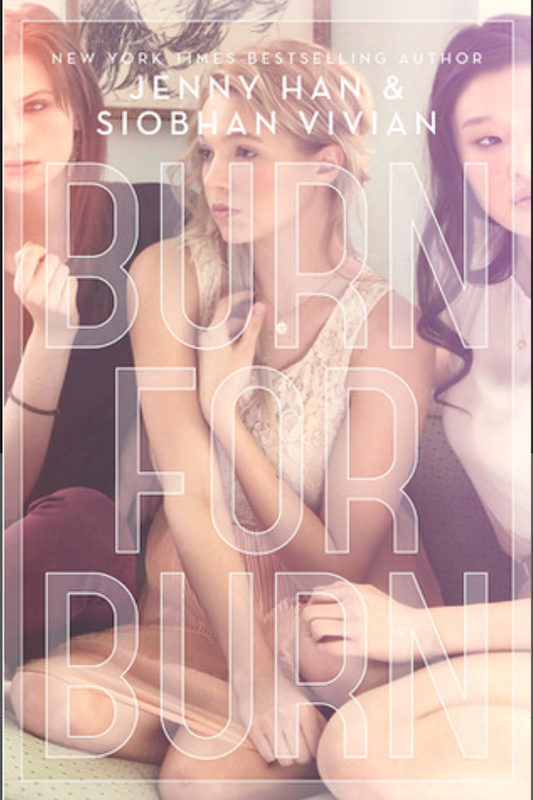 I enjoyed Jenny Han’s first Lara Jean novel, and the library had this one (different series, with a co-author) so I grabbed it. I had to run a lot of trailers back and forth between a drop yard and an oil refinery, so I plugged it in and enjoyed it a decent amount. The advantage of the audio version was that each of the three main girls got a different narrator. (Even without that, they were all written distinctly, so reading it in print wouldn’t have been a problem.) Kat is the Tough Chick, Lilia is the Popular Chick, Mary is the Homely Quiet Chick. They’re not friends, not at first, but their paths cross like poorly planned state highways that your dispatcher lies to you about, and they soon find themselves in a convoy…nope, sorry, they find themselves working together to deliver a high-value load of revenge against bullies. I kept thinking of “Mean Girls” as I listened to it, though this book has slightly sharper teeth. There are a few F-bombs, teen drinking is casually accepted, and there are some sexual situations as well, so be aware. While I’m not fond of that content in YA, Han and Vivian weren’t gratuitous about it, and the instances all played into the plot. The setting kind of made me wish I owned a house on a coastal American island, probably after I retire from trucking. Final note, this book was very much the “first act” in a trilogy. There was some resolution to the initial conflict but you can tell this flaming crapstorm is only heating up. I will real the sequel after I take some time off–I’ve read like three Girly Books in a row without meaning to, I need a change of pace. We had more than two hundred fifty adventures together. We crammed them all into a hundred and four days—give or take. Things always got crazy. We changed the world. We changed the galaxy. At the end of every afternoon, it changed back, and that was fine. Same old us. Same mad scientist in town. Same harmless pet platypus. Then, one day, The Doctor made a “zombie-inator” without a self-destruct button…one that did its job. He pulled the trigger. The -inator was somehow aimed straight at our yard. My brother was Patient Zero. He got our mom. She turned our dad. Then our sister, and her boyfriend, and soon our whole block. The Tri-State area fell. We tried to save it. We fought it as long as we could, but you can’t fight the sunset. My brother fled. At first it didn’t matter—taking him down wouldn’t have changed what he did. Friends. Family. Loved ones. Lives destroyed…oh, what might have been. This morning, though, I woke up, and I knew things were different. He’d returned. You can’t spend all that time with someone without knowing when they’re about to be breathing down your neck. I wanted to be angry at him. In the end, it’s not his fault. 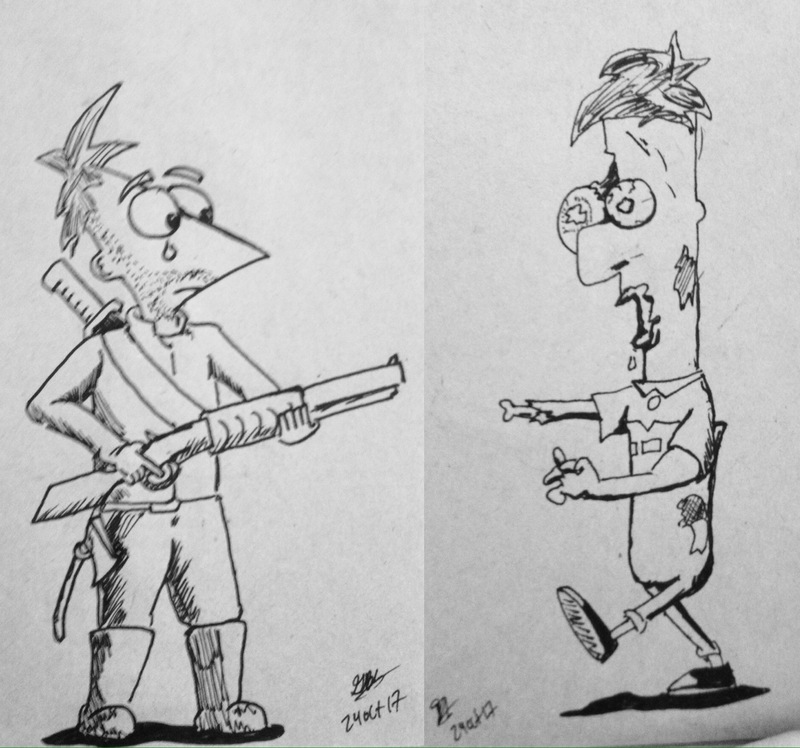 It’s Doof’s. And he’s long gone. If anything, I will be grateful. Before I have to finish him, I get to say the words. TMRGB is a series of blog posts wherein I, a disgruntled truck driver who unfortunately is not allowed to have a beard because of current job requirements, recommend effeminate fiction to the masses. You will never find a more wretched hive of scum and villainy…provided that you are a west coast trucker. I hate Seattle. It does nothing but rain, and the paper mills all smell like broccoli that’s been overboiled in a construction yard outhouse. Also the music is overrated. The worst part, though…the worst part of it is the trucking. Is the sun up? Are you on Interstate 5? My psychic powers tell me that you are going no faster than 30 miles per hour. Yes! Real psychic powers! Now send me money. Are you in Seattle proper? I am so, so sorry. No, don’t worry about what the GPS says, you can go down that road. There’s a low bridge but only in the right lane. Yes, everything is tight and packed and hard to get through. Those caveman-looking people? Why, those are hippies. Yeah, still have hippies in Seattle. They haven’t gotten the message yet. …unless Jace and Georgie are real. If that’s the case, well, okay, I guess they can have it. But you can’t make me truck there. Oh, you’re my dispatcher? I guess you can make me truck there. But you can’t make me like it. 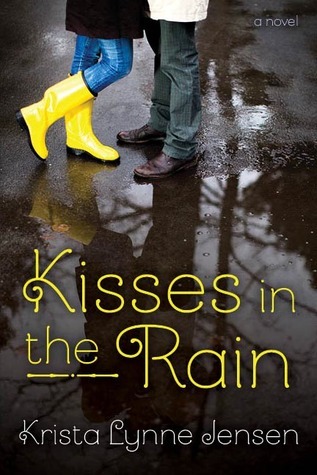 Yes, this is where I stop blabbing about trucking and start blabbing about KISSES IN THE RAIN by my friend, Krista Jensen. Jace is a super chill Bachelor Hunk who lives in a rundown rental with a rescue dog and his own deep thoughts. He works at a restaurant, making food. He just got used by a girl so that she could make her ex-boyfriend jealous, and he vents his frustration by rage-riding his motorcycle through the Rain City. Oh, and he’s unconsciously handsome. Georgie also just got out of a bad relationship, but hers was a little bit easier, ’cause the guy died. The downside is that Georgie was in the car with him when he snuffed it, and she’s still trying to put herself back together, mentally and emotionally speaking. She comes to Seattle and gets a job at the same restaurant as Jace. Ooooooh, are they gonna hook uuuuuuup? Um, duh? Did I mention a rocket ship somewhere? This is guy-fi, not sci-fi. Among the strengths of this story–other than persuading me not to go Full Metal Supervillain on the Pacific Northwest–was the depth behind the main characters, and how they both had to do some self-examination before realizing they were ready to be with someone else. Georgie probably had the more interesting arc on this front. It was nice to read about a character who’d been damaged by an abusive relationship but was later able to work her way out of the trauma by understanding that the abuse wasn’t her fault. Presenting that kind of relationship in fiction is a safe way to show how that abuse takes shape, because in real life people don’t always cotton on to it when it’s happening. Also it was cool that Jace had a motorcycle. I don’t, because I have kids. Final note, this book made me hungry for peppery shrimp with blackberry sauce. Time to go hit the fridge. I should definitely have plugged another Halloween-ish book by now, so here’s an oldie-goodie. It takes place in England sometime in the 1800s, and it’s a hilariously ghoulish tale. At one point our hero even crosses paths with some of the weakest vampires imaginable, who automatically worship him by mistake. John Keats, Mary Shelley, and Jane Austen also make appearances, whether in person, name, or reputation. 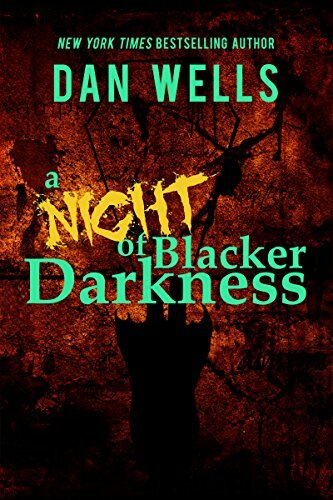 It might be among Dan Wells’ lesser-known works, but that’s certainly not for its quality. It’s a really fun read and captures the bewitched autumnal atmosphere with great skill. It’s available in ebook and audiobook.